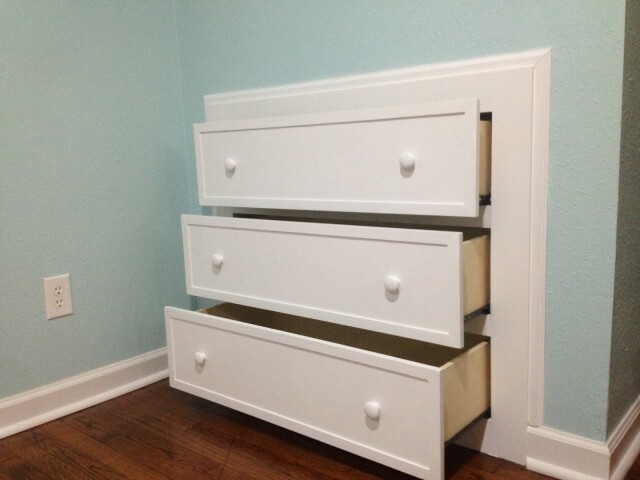 To save space around the house, why not convert hidden unused spaces into valuable storage areas. 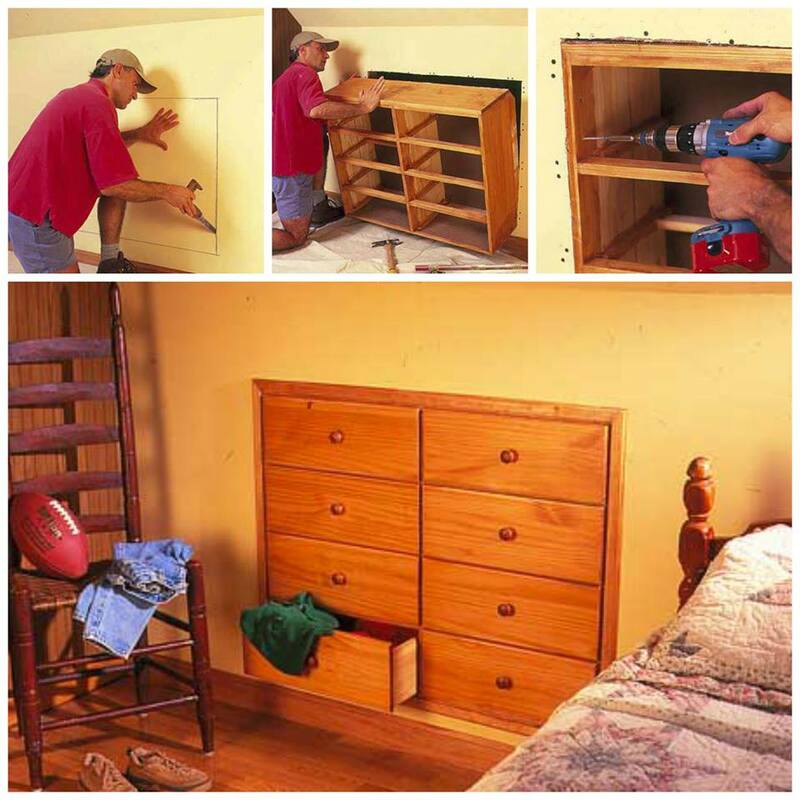 By utilizing the knee wall of an upstairs bedroom, you can recess a dresser into the unused space. 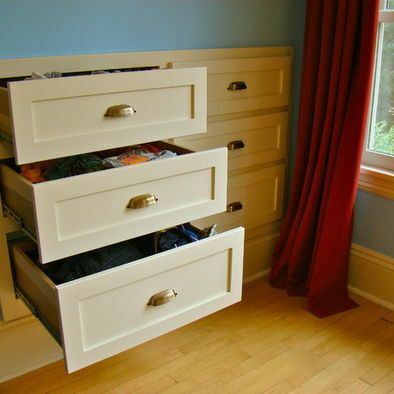 This will not only help you save precious floor space, you can gain a full-size, eight-drawer chest to efficiently store your clothing. Instructions here.